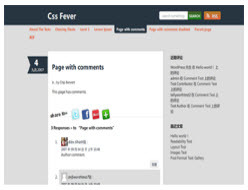 cssfever is css theme without any other images. This theme do not work in ie6,ie7,ie8 or user will see a different layout in these browsers. 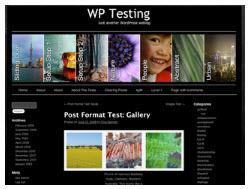 This is pure html 5 and css 3 wordpress theme from html5beta. Absolum wordpress theme support Custom menu and it comes with 8 preinstalled color schemes, 6 widgetized areas and the admin Visual Editor. Absolum is cross-browser compatible. Select right, left or disabled sidebar. Add up to 4 subscribe/follow buttons. Sliding Door comes with sliding images in the header. 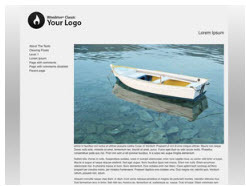 Uses a Custom Menu and Featured Images to create the sliding images. 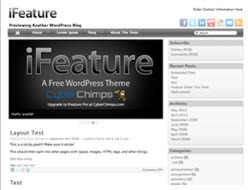 iFeature is Free WordPress Theme which offers customizable theme options,slider, dynamic header for custom logo, social icons, social sharing, contact section, widgetized sidebar and footer, typography including Google Fonts, and multiple template choices. 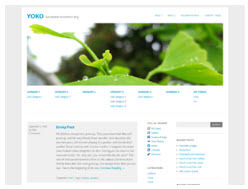 Yoko is a modern wordpress theme which optimizes for mobile devices like tablet pcs and smartphones.Custom background, link color, logo and header image. 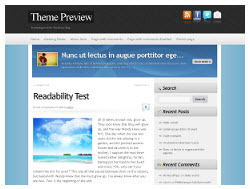 Wiredrive Classic wordpress theme is a highly customizable free theme by Wiredrive.